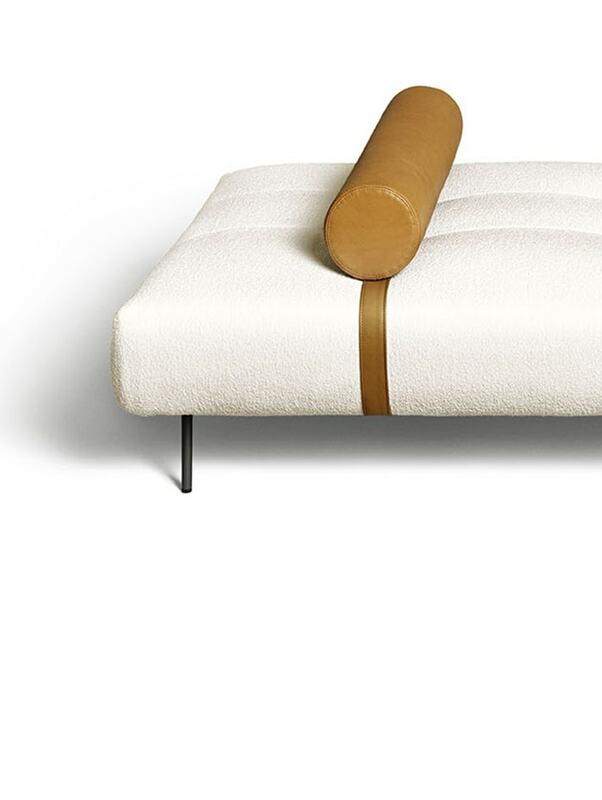 The Erei collection was missing only a daybed. 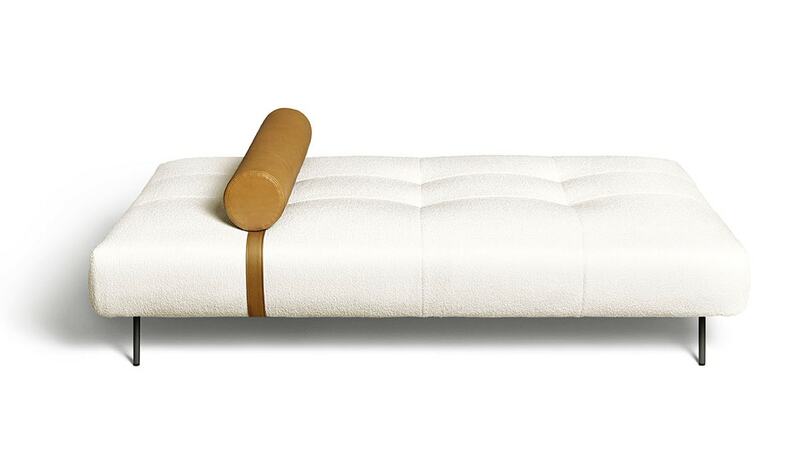 Conceived for domestic spaces, it is an essential furnishing element and is now revised thanks to the collection’s full and soft upholstery with tufted seams. 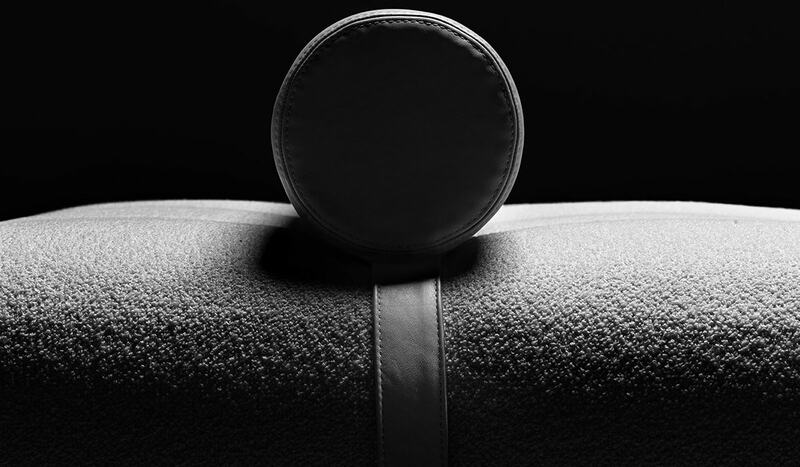 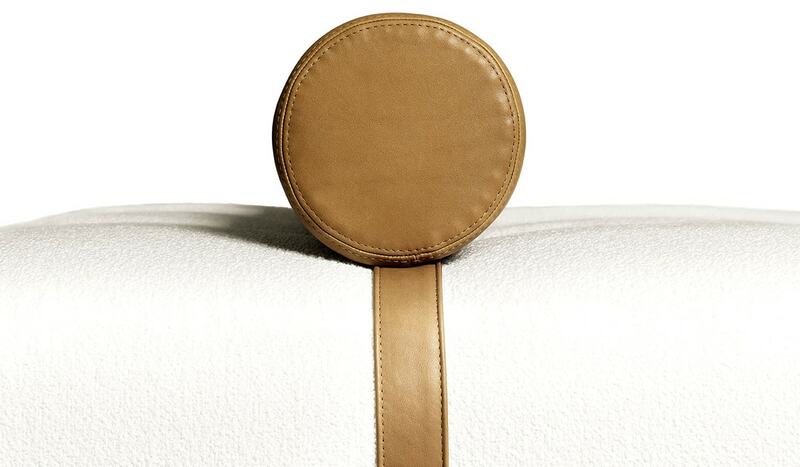 A leather headrest cylinder is secured to the frame through a perfectly integrated and movable strap. 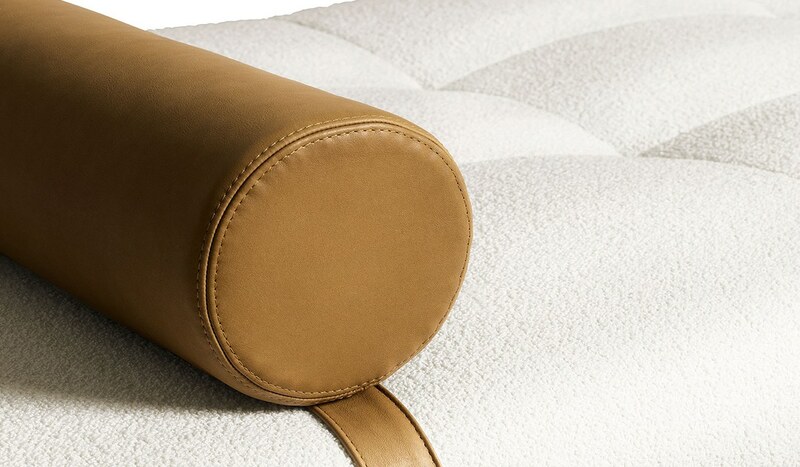 A large organiser for accessories, to be positioned on the armrest or backrest, and two cushions, squared and rectangular, are commonly called “accessories”, but their function is not to be underestimated as they help in achieving more comfort and design.